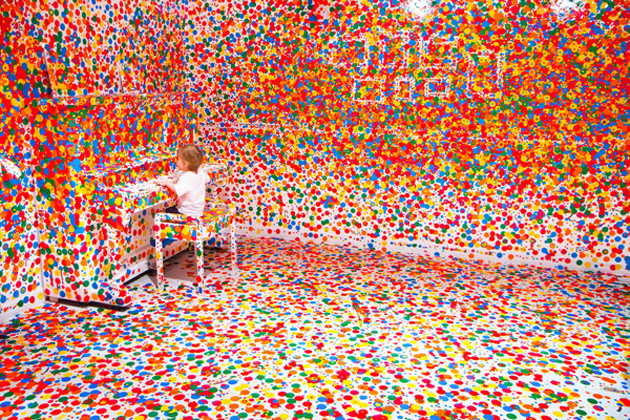 This is a brilliant exhibition from colourful Japanese artist Yayoi Kusama. 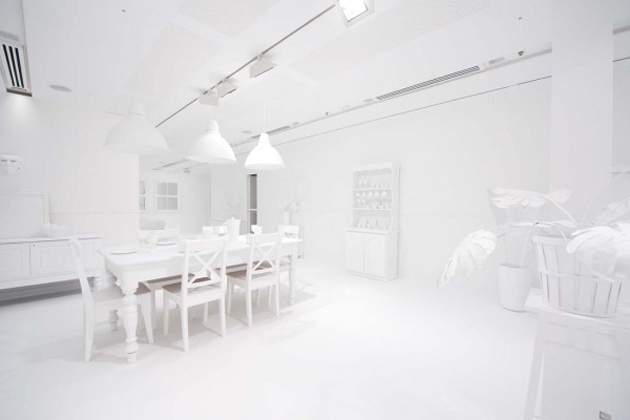 An oldie but a goodie this installation took place in the Tate Gallery London earlier this year. 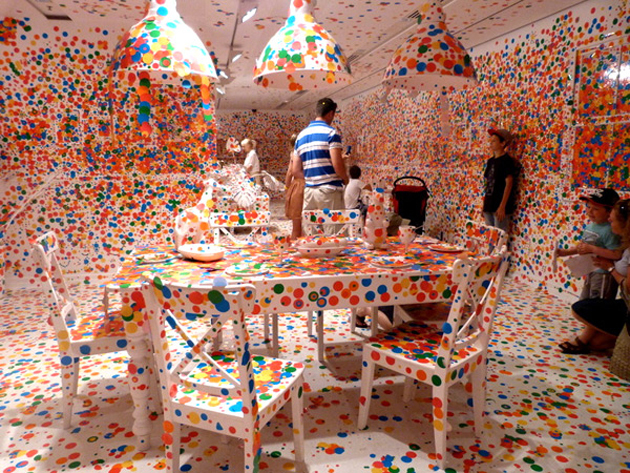 Polka dot enthusiast Kusama constructed a room where every item including the floor, ceiling, furniture even piano was finished in a clean white. 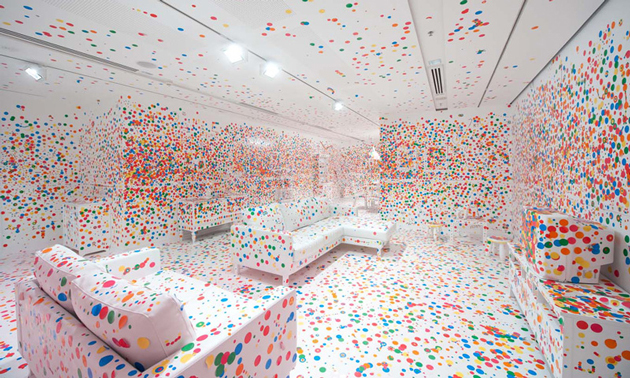 The public on entering were armed with as many coloured stickers they could carry and urged to find a spot in the room to stick them. A great hit with children and adults alike producing a final outcome that is overwhelming. A great idea for home decoration too.